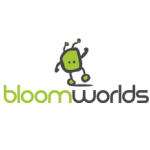 Have you heard of BloomWorlds? Chances are you probably haven't, because even though I've been seeing intermittent updates about it on and off for the past year and a half, they never actually came out with a product, which was supposed to be a family-friendly, curated Android market. As of today, the project is shut down, and the post mortem report filled with reasons for its failure is sitting in our inboxes.